Game companies need to have good game designers. I mean, unless they don't want to release good games. And what game company doesn't want to release good games? Blacklist Games wants to release good games, and so they've hired on Adam and Brady Sadler as their Senior Game Designers. Blacklist Games is proud to announce the recent hiring of Adam and Brady Sadler as Senior Game Designers. 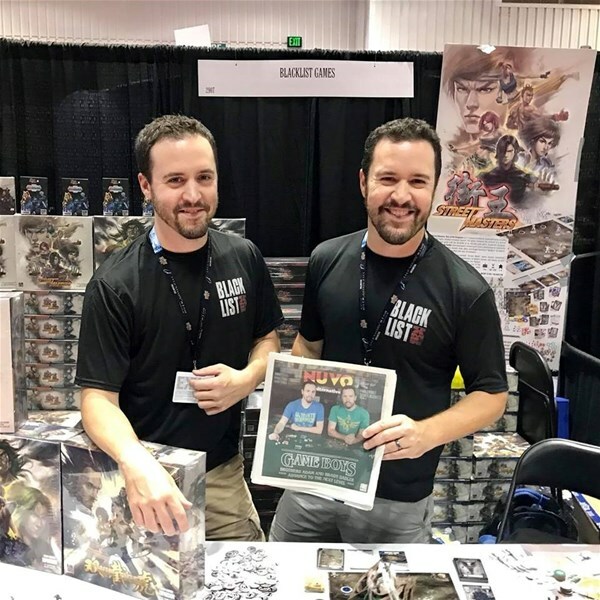 Formerly with Fantasy Flight Games, the Sadler brothers have worked as freelance game designers and consultants for over six years, designing such games as Warhammer Quest: The Adventure Card Game, The Walking Dead: No Sanctuary, Street Masters, Brook City, and Heroes of Terrinoth. While the brothers will continue designing games with other publishers, Blacklist Games will be the official home for the majority of their original designs. Following on the success of their latest Kickstarter, Street Masters: Aftershock, Blacklist Games has announced their next Sadler brothers design: Altar Quest, a fantasy adventure game utilizing the Modular Deck System introduced in Street Masters and Brook City. The game will be inspired by classic dungeon crawl board games and will be their first design as full-time Blacklist Games employees. Look for Altar Quest on Kickstarter in early 2019, as well as other exciting titles to be announced soon.